Next week on the 16th April, we are running another of our “Living supernaturally” evenings at KingsGate Kingston, hosted by Paul Tothill via Skype all the way from Adelaide. During these very interactive times, Paul will teach on understanding the supernatural life. In particular, he will focus on operating from intimacy with the Father and exercising the authority the Father has given us to see his Kingdom come on earth. I am aware that some of you may never have met Paul and his wife Tracy or maybe have only heard of them in passing. Paul and Tracey lead a church in Adelaide called Gateway and they have been friends of KingsGate for many years – in fact, I think Paul is one of the few people who has attended every single Dwell conference that we have held! Apart from being great friends we also see Paul and Tracey as a wonderful gift to this church. 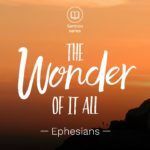 Their experience and journey in leading a church into a greater understanding of supernatural life; their many years of ministry, as well as, Paul’s experience in many countries in the world all make them a very welcome voice into our context.